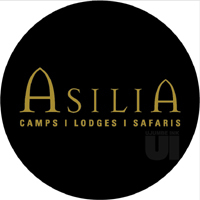 Asilia lodges and Camps ltd is seeking to recruit a well-qualified Tanzanian to fill the position of Commis Chef in their camps. Founded in 2004, Asilia has a leading presence in the main safari destinations in Tanzania and Kenya as well as a driving role in a number of pioneering projects. Asilia’s ultimate goal is to turn crucial and fragile natural habitats into lasting conservation economies, benefiting both the environment and local communities. At present the company owns and operates 20 lodges and camps as well as a ground handling operation. Asilia is the first Sustainable Safari / Lodge Company in Africa to receive a 5 Star rating for Sustainability from GIIRS, was recognized as one of the “Best Companies for the World” in 2013 and was awarded the 2014 Tourism for Tomorrow Business Award. We believe that world class travel can go hand in hand with improving livelihoods and conservation of nature. Our luxury camps and lodges are in some of the most special places on earth. Places we want to safeguard for the future. We strive to transform whole areas, from crucial fragile natural habitats with often impoverished communities into lasting conservation economies: effectively protecting wildlife whilst providing opportunities for local people to prosper. Whichever department you work in your efforts will be crucial in achieving our conservation goal. Proven work experience as a Chef section (at least 1 year experience).